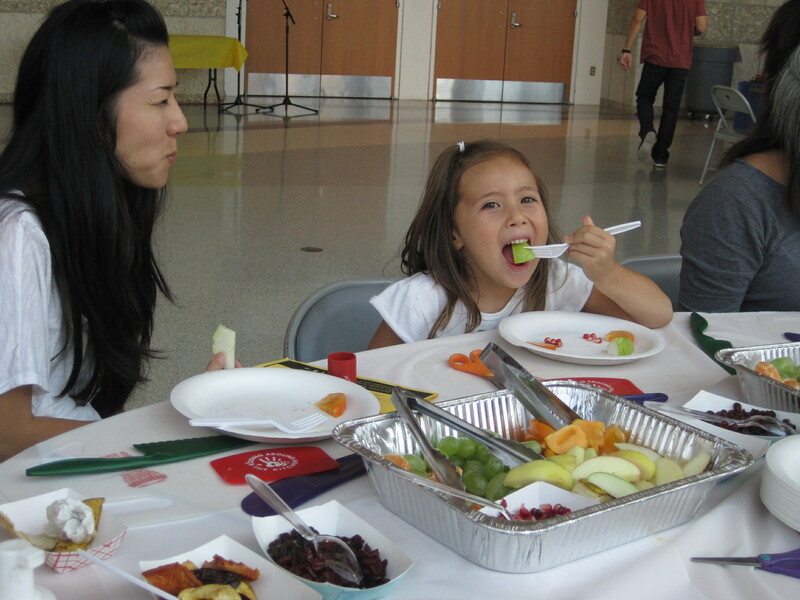 Celebrate autumn this Saturday at JANM’s Target Free Family Saturday! Enjoy autumn-themed crafts and activities at our November Target Free Family Saturday! Join us this weekend for our Target Free Family Saturdays event on November 9th from 11am to 4pm! The day will feature a variety of autumn-themed crafts and activities, in addition to celebrating Veterans Day with the Go For Broke National Education Center. Assemble your own Festive Fall Salad with Kidding Around the Kitchen! The day will start at 11am with Kidding Around the Kitchen, as they will lead a fabulous make-it-yourself Festive Fall Salad, using the best that fall harvest has to offer. Also beginning at 11am will be a Comic Book Lounge, where guests can relax and read comic books in celebration of the Marvels and Monsters exhibition. At 1:30pm (and again at 2:30pm) you can join in on an energetic drum circle by playing on a drum (no experience necessary)! Then at 3pm, join us for a reading of Thanksgiving at Obaachan’s with author Janet Mitsui Brown. Then stick around to decorate your own furoshiki (wrapping cloth) complete with your own mini omanju (traditional confection) to snack on! Meet Japanese American WWII veterans at the Go For Broke Monument! Most importantly, don’t forget to visit Go For Broke at their Monument, just outside of the National Museum. Not only can you view the monument, but there will be lots of family-friendly activities. 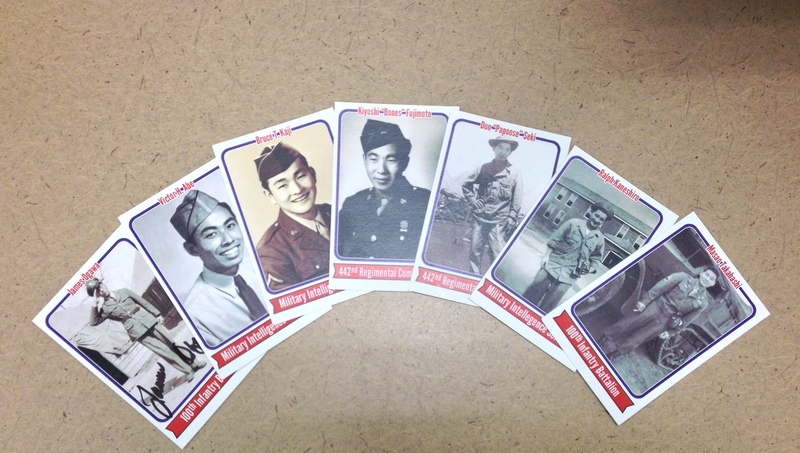 You can even get baseball-style cards signed by Japanese American WWII Veterans! Have Japanese American WWII veterans sign their baseball cards for you at the Go For Broke monument! This Saturday’s Target Free Family Saturday is not limited to these activities, but will feature even more FREE crafts and activities ALL DAY! Including a camoflouge-print jump house in honor of Veterans Day, Ruthie’s Origami Corner, coloring, and more! For the full schedule and updates on the November Target Free Family Saturday (or to see what’s coming up for the December event), visit: janm.org/target.